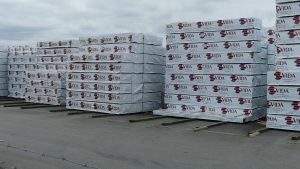 This week Canfor corporation announced that they will acquire 70% of the stake in Swedens largest private owned sawmill company Vida AB. 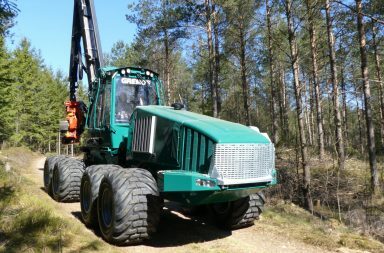 Forestry.com paid a visit at one of Vidas samwills in Sweden last year. 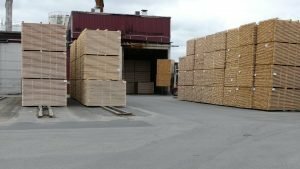 Here is a video from the small log sawmill in Alvesta, Sweden. 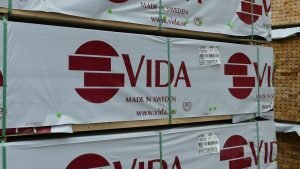 Small log sawmills has been popular during last decade in Sweden and Vida is one of the leading producers with several dedicated sawmills for short logs in diameters from 11 to 20 cm (4,5 to 8 inch). 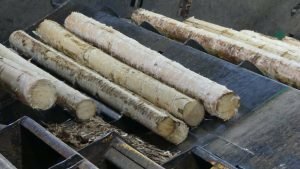 Logs are normally cut in short lengths, like 2,5-3 meters (8-10 ft). 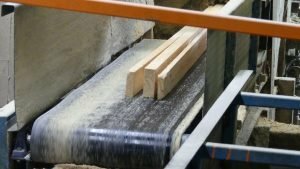 Those sawmills use reducer technology that fast and instantly cut the sides to pulp chips. The blocks are profiled by the chipping reducers and then in the next step divide into lumber by saw blades. 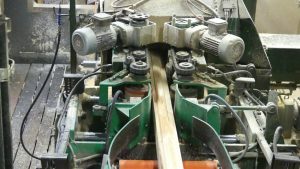 The Vida sawmill in Alvesta also have stress grading equipment and most of the production is planed before sale. 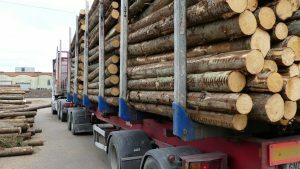 Most of the lumber will be construction wood for export as well as domestic use. All production is kiln dried. More information about Vida can be fond here at Vidas webpage. 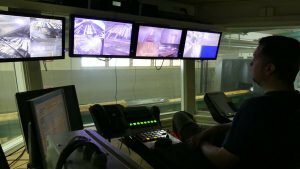 Here is a video showing the production (Swedish audio/text) and below some pictures. 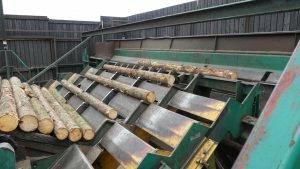 Intake and feed of short logs to the debarking unit. 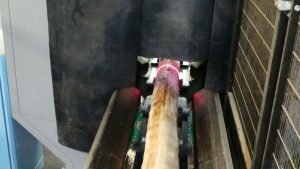 Every log are measured by laser technology to decide the optimal cut. 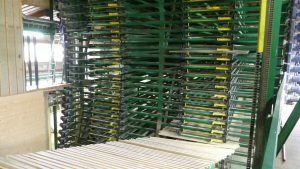 Boards in same dimension are leaving the sorting rack for stacking and Kiln drying. 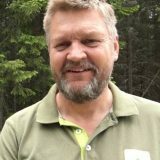 I started as a chainsaw logger in the early 80’s, became a forest engineer in the 90's and gained 25 years experience of international forestry as responsible for the Elmia Wood show. In January 2016 I joined Fredrik and Skogsforum.se and today I spend my days among foresters both online and IRL. Hello fellow forestry workers. I live and work in a Canfor dominated forestry town. 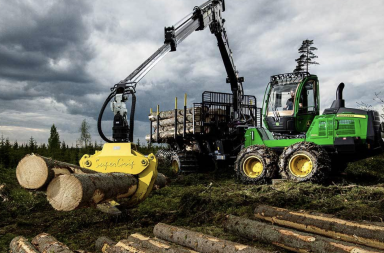 Our forestry practices are poor in Canada and Canfor is a clear cut machine. 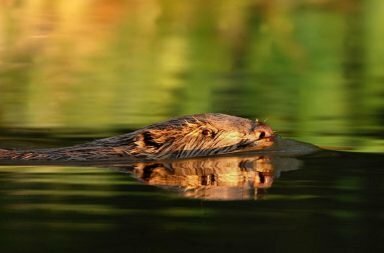 Please guard your forests and protect your harvesting rates. Trust me! Google their track record here in Canada. Stay safe out there.